The arrest was made this afternoon. A MAN HAS been arrested by detectives investigating the Omagh bombing. The PSNI made the arrest in the Newry area earlier today. 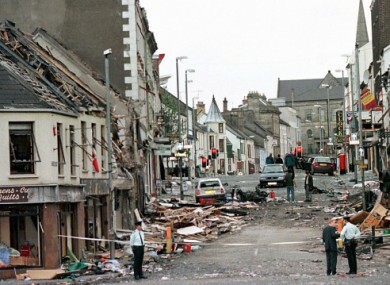 The Omagh bomb killed 29 people and injured 220 when it detonated in 1998. The Real IRA planted the bomb in a parked car on Market Street. Many men have faced charges over the bomb but no one has ever been convicted. Email “Man arrested in connection with Omagh bombing ”. Feedback on “Man arrested in connection with Omagh bombing ”.